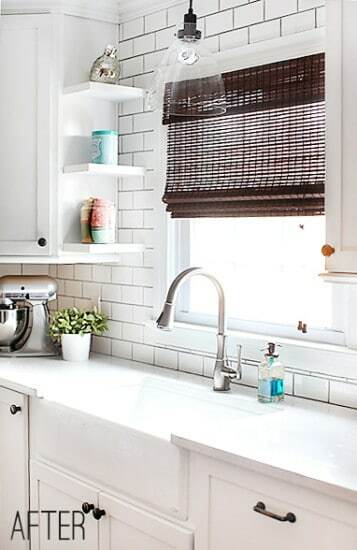 Kitchens with white cabinets, floor to ceiling subway tile with darker grout , contrasting hardware and bamboo blinds at the window always catch my eye! I’ve been cutting those same inspiration elements out of magazines for 25 years and of course used them in various combinations in my own kitchens! These features are classics, so you really can’t go wrong. 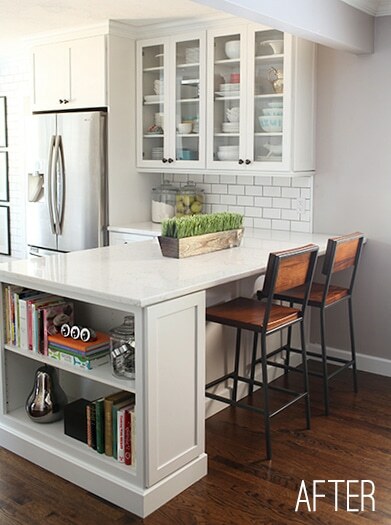 This kitchen by Seventh House on the Left is proof the combo is a definite winner! Lovely room tour, go check it out!